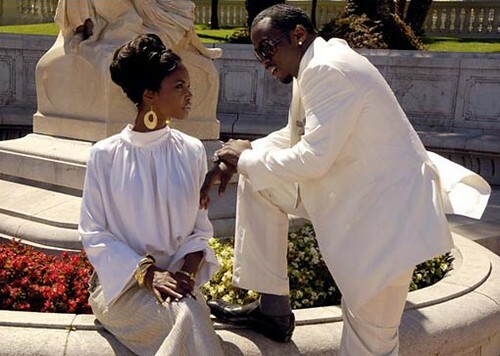 Not that long ago, Kim Porter, longtime girlfriend of Sean "Diddy" Combs, triumphantly declared in the pages of this magazine that the love she shared with Combs was something the rest of us could never understand. "I know him like I know my kids," she said. "He's gentle, giving and sensitive, especially to me." What Porter didn't know was that while she waxed enthusiastically about their union, her on-again off-again boyfriend of 12 years, the man whose twin baby girls she was carrying, was keeping a secret from her that would rock her to the core. If you speak to Porter about it now, the first thing she'll tell you is that the secret was not the main reason she left the relationship this past July. But later, after hours of conversation, Porter concedes that Combs's betrayal led directly to an unraveling of trust and faith. From there, she says, it was just a matter of time before things came completely undone. ESSENCE: You left the relationship in a very dramatic way. I understand you waited until Sean was out of town and then you packed up the house. You took the cars, the nursery furniture, the kitchen table, everything. Why did it go down like that? KIM PORTER: Because there was no other way. You think he would have let me walk out the door? He wouldn't have wanted me to go. KIM PORTER: No! Not at all. But I wanted to be dramatic. I wanted him to know I wasn't breaking up with him for two weeks-or maybe leaving for two days. If I pack up everything - twins and all- it means I'm out! Puffy's an action person, not a talk person. So I had to have an action. Telling him, "Babe, I'm leaving" was not gonna do it. ESSENCE: Did your girlfriends come over to help? KIM PORTER: I did have my little party-packing crew, yes, I did! My friends are very supportive. ESSENCE: After our last article ("No Ordinary Love", Essence, December, 2006), some readers responded by saying Sean was disrespecting you by not getting married. They said you should be trying to get that ring on your finger. KIM PORTER: Do you know how many rings I have? I don't even have enough fingers (laughing). That's not why I left. ESSENCE: So if he called you today and said, "I want to get married, right now."? KIM PORTER: I would say "No." And not because I don't want to get married, but because he's not ready to get married. When I get married, I want to stay married. I want both parties to be on the same page at the same time, and to leave a certain type of behavior behind. That's a commitment I don't think he's ready for. ESSENCE: If it wasn't over the marriage, then why did you end the relationship? KIM PORTER: I left because at this point in my life I want something different for myself. I invested ten years, I have children, and I've always stood by him. But now it's time for me and what I want to do for Kim. ESSENCE: How have you two been getting along since you left? KIM PORTER: You know how when two people go their separate ways, most of the time there's animosity? It's not like that with us. Sean and I have this bond, this friendship. It's not about 'if you're faithful to me, if I'm being faithful to you.' We're friends. I'm the person he can tell his inner most thoughts to and he's that person for me. He still calls me everyday and we talk. There's no ill feeling or 'I can't stand you, I hate you, don't call.' There's none of that. We have three children together so that's just not an option. We're committed to our children even if we couldn't commit to each other. ESSENCE: Speaking of being faithful, there have been rumors about Sean and a baby in Atlanta swirling around for a while. Is this why you left the relationship? KIM PORTER: Hmmm... Well, that definitely was part of it. Kim Porter was photographed exclusively for ESSENCE, July 25, 2007 in Los Angeles.